Have you seen these strange looking squares on menus, store windows or real estate signs and wondered what they are? Your inquiring reporter, Mike Blaney has tracked down the answer. It’s a QR Code! Believe it or not if you use an iPhone, Blackberry or other PDA/Smart Phone device to scan the QR code to the right it will take you to one of my websites www.mikeblaney.com. 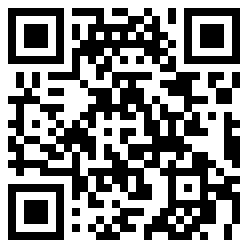 A QR Code is like a bar code that you see in grocery stores, bookstores, videos or almost any retail establishment. It is a code that, when read by the correct device, can provide you with information about a product – whether it’s a price on a retail product, or in this case, a website and information about a home listing. QR Codes storing addresses and URLs may appear in magazines, on signs, buses, business cards, or just about any object that users might need information about. Users with a camera phone equipped with the correct reader software can scan the image of the QR Code causing the phone’s browser to launch and redirect to the programmed URL. A QR Code is a matrix code (or two-dimensional bar code) created by Japanese corporation Denso-Wave in 1994. The “QR” is derived from “Quick Response”, as the creator intended the code to allow its contents to be decoded at high speed. QR Codes are common in Japan, where they are currently the most popular type of two dimensional codes. Moreover, most current Japanese mobile phones can read this code with their camera. What Are The Real World Applications?